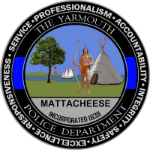 On Friday October 3, 2014 at approximately 2330 hrs Yarmouth Police Department Officer Kevin Antonovitch was on patrol on Route 28 in West Yarmouth. Officer Antonovicth was traveling east on 28 in the area of West Yarmouth road when he observed the vehicle in front of him swerve and strike a bicyclist who was also traveling east. Officer Antonovitch checked on the condition of the bicyclist, who appeared to have minor injuries, and then pursued after the motor vehicle. The motor vehicle was stopped on Winslow Grey Road near Anthony Road. The operator, who was identified as Holly Anderson, 45, from Dennisport, was arrested and charged with 4th Offense OUI, Leaving the scene after causing personal injury, operating to endanger and marked lanes violation. Officer Paul Mellett assisted with the investigation at the crash scene and located debris that was matched to the vehicle Anderson was operating. 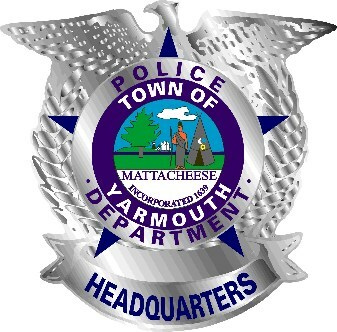 Anderson was transported to the Yarmouth Police Department where she was processed and held pending release on bail.